“I wanted to be a student who happened to run, not a runner who happened to be a student,” said Colin SyBing, a University of Maryland junior and president of the University of Maryland Running Club. He ran for T.S. Wootton while in high school. 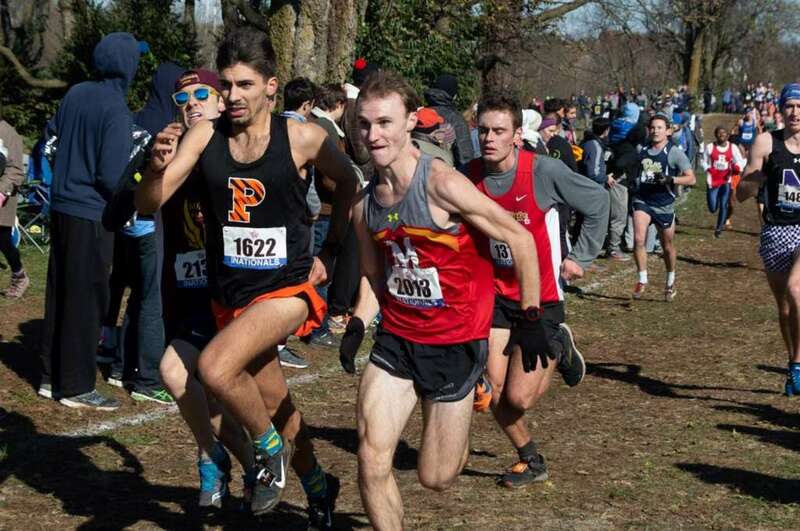 There are around 150 college running clubs registered with the National Intercollegiate Running Club Association (NIRCA), the sport’s governing body. But organized competition for these clubs is relatively new. Before NIRCA was founded in 2006, club runners were left to compete in local road races and varsity college open invitationals, if they competed at all. 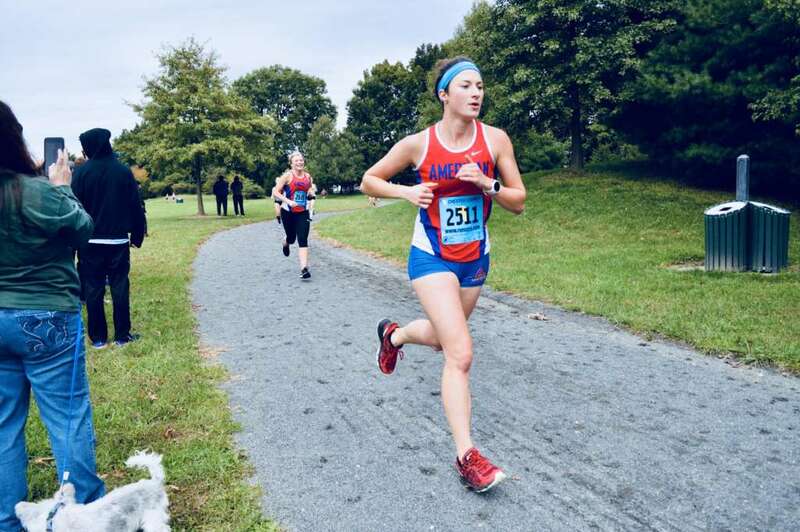 April 13- Monument Avenue 10k – Richmond, Va.
May 27 – Loudoun Street Mile – Winchester, Va.
Stulock said the Mid-Atlantic region has been one of NIRCA’s biggest and most active regions for several years, with 28 member schools that combined 14 events for the 2018-2019 season. She said she’s also seen athletes use club running as a way to prepare themselves for making the jump to varsity, or as a way to continue running after varsity eligibility has run out. The college club running scene in the D.C. area is a vibrant one, giving schools many opportunities to collaborate with and compete against each other, runners say. American University XCTF played host to the Capital Relays March 24, while Maryland will hold the Terrapin Invitational 2019 on April 6. Georgetown’s Battle for D.C. track meet is coming up on April 13. The clubs also have a number of other meets on their agenda this spring, including NIRCA’s Spring National Championships at Miami University of Ohio, and some local road races, too. Daniel Ritter, president of American University Club XCTF, said the club has about 60 to 70 members this year, with around 30 runners who participate in most of the club’s events. Ritter, a third-year senior, was a serious runner in high school, but wasn’t interested in the commitment that came with being on American’s varsity track team. He still wanted to keep running and training, though, so he joined the club, which he describes as a solid mix of competitive and casual runners. SyBing, a runner since seventh grade, joined Maryland’s club on the first day of his freshman year. He’s seen the club, which has about 250 members, expand in terms of having a roster of dedicated runners. They’ve also had some major successes recently, with the girls cross country team placing 10th at nationals last fall. While the club’s weekday practice runs are voluntary, he said there’s a growing number of runners who show up consistently. What workout they do when they get there, however, is entirely up to them. Gallin said Georgetown club members run every day, including twice on Wednesday, and those meet ups include two workouts. While all runners are encouraged to do the workouts, they aren’t mandatory. “Our motto is challenge by choice,” he said. In addition to the team’s practices and meets, Georgetown runners also volunteer with Back On My Feet and Teens Run D.C. Back On My Feet works to empower homeless residents through running and connects them with various resources, while Teens Run D.C. helps city youth through a mentoring and distance running program. That outreach is something that makes Georgetown’s club unique, Gallin said. While D.C.’s running scene offers ample opportunities for competition, club presidents say it’s the fellowship among their fellow runners that truly excites them. “There’s something really beautiful about going on a nice long run on a fall morning in Rock Creek Park with your friends, doing something that you all love,” Ritter said.